I love making bath items for my friends and family. I know for myself, I don't ever go and buy myself nice washclothes or scrubbies unless I'm on a whim. When I make bath items I use great cottons like the I Love This Yarn cotton and they're silky soft! 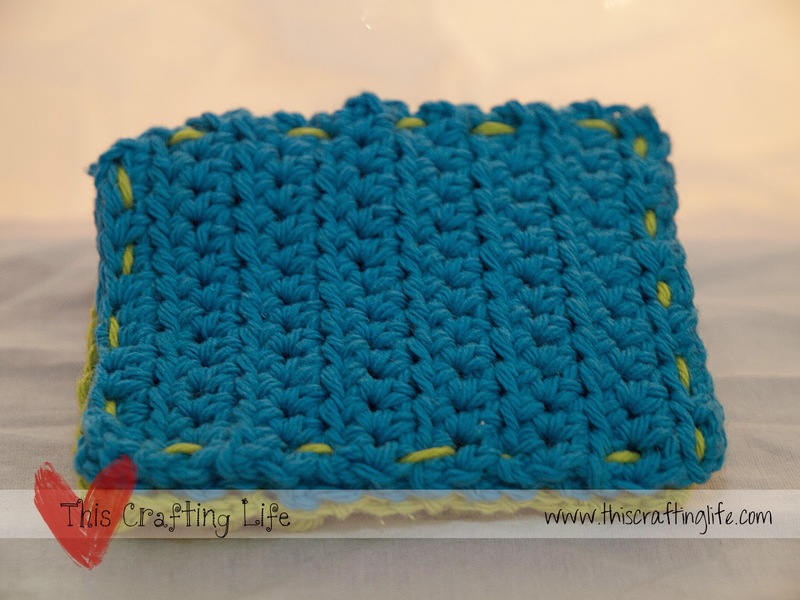 I made this sponge and it worked up really easily and was super cute. I made mine in lime and blue and stitched it so the green showed through on the solid blue side. 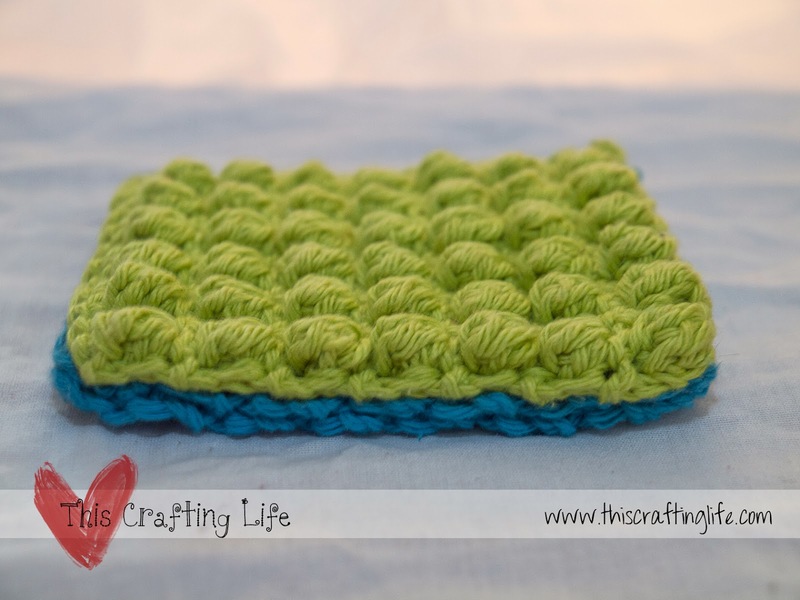 I highly recommend using this pattern to make your own sponges, for use dishwashing, cleaning your house, body and more! Just throw them in the washing machine and they'll be good as new for the next washing! 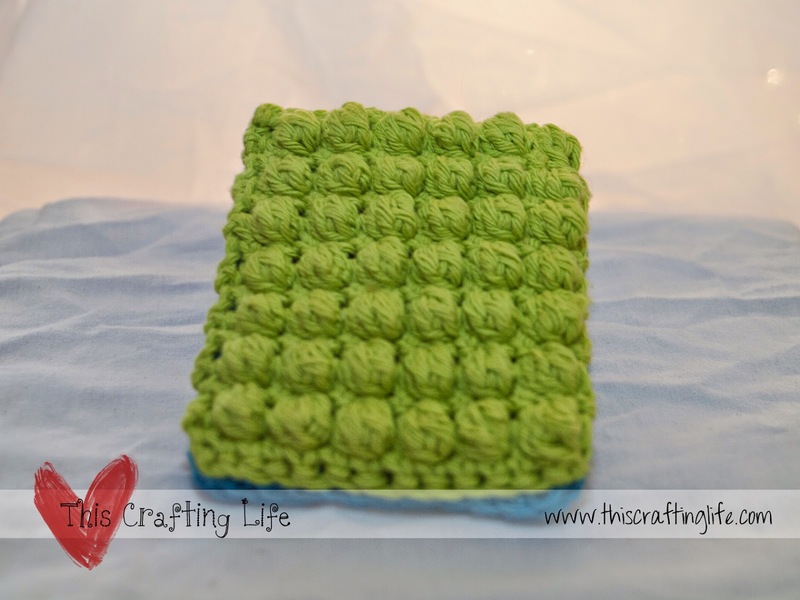 Find the pattern for the Sponge here!